The serpent of subarctic weather, Illuyanka always appears in the midst of intense snow storms. 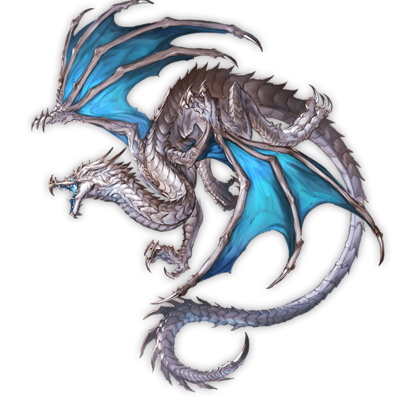 Its powerful glimmering breath is known to freeze even the fieriest of opponents, turning them to permafrost. 40% boost to Water Elemental ATK. During Defense Order, 100% boost to ATK and 30% boost to HP for Water allies. This page was last modified on 13 August 2018, at 02:53.